I would like to thank you for sharing your wonderful compliments here on TripAdvisor. It makes me proud on the entire team while reading your lovely words and I am pleased to read that they were able to exceed your expectations. This outstanding review will definitely be shared in the morning meeting with all the teams and I am sure that your review will strive as an enormous encouragement for all of them. Thank you for staying with us and we are looking forward to welcome you back soon at Sofitel Legend The Grand Amsterdam. Jacqueline R a écrit un avis le 14 avr. I would like to thank you very much for leaving a review here on TripAdvisor regarding your recent stay with us at Sofitel Legend The Grand Amsterdam. We are pleased to read that you were satisfied with the friendliness of our employees especially because it is our passion to give all our guests an unforgettable experience. With that said, it is a great pity to read that your experience during your breakfasts was not as expected. We will also discuss this with the breakfast team to improve ourselves where needed. Rest me to thank you for your recent stay with us and we do hope to welcome you again and to be able to restore your confidence in our breakfast team. guy f a écrit un avis le 3 avr. We very much appreciate that you took the time to review your stay at the Sofitel Legend The Grand Amsterdam here on TripAdvisor. It is a true pleasure to learn that you have enjoyed your stay with us and we would like to thank you for your grading. It is our aim to provide all of our guests with an exceptional and memorable experience, and I am thrilled to read that we managed this during your stay especially in our Michelin star restaurant Bridges and the sleeping experience in our special Sofitel MyBed. We hope to have the pleasure to welcome you back soon at Sofitel Legend The Grand Amsterdam. First of all we want to thank you for your recent stay at Sofitel Legend The Grand Amsterdam. It was a pleasure to welcome you. 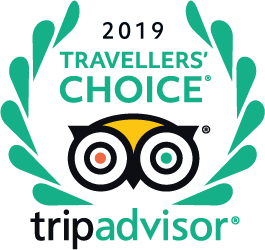 We would like to thank you very much for the time and effort you have taken to share your wonderful words here on TripAdvisor. It is always nice to receive positive responses. Your kind explanation is greatly appreciated and we will share it with the team. We are convinced that your response will encourage our staff to continuously strive for a high quality of our service. Thanks again for sharing your experiences and we hope to see you again soon at Sofitel Legend The Grand Amsterdam. Alex H a publié une photo le 4 avr. Le personnel parle t-il français ? Mon vol arrivant à l'aéroport à 20H, je souhaite organiser notre transfert à l'hôtel, dans les meilleures conditions, mais surtout sans utilisation des transports en commun. Que proposez vous ? Cordialement. Sofitel Legend The Grand Amsterdam is located in the heart of the city, between the two oldest canals of Amsterdam and in walking distance to almost everything. We are looking forward to welcome you at The Grand soon. It’s very central.. near the red light district. guy f a écrit une astuce le 3 avr. "si vous êtes épicurien, n' hésitez pas"
"La vue sur le canal est un plus, me^me si cela peut être bruyant"
"Chambres avec vue sur le canal"
"demander vue sur le canal"